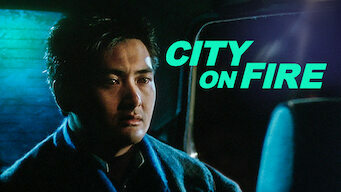 How to watch City on Fire (1987) on Netflix Taiwan! Yes, City on Fire is now available on Taiwanese Netflix. It arrived for online streaming on December 28, 2018. We'll keep checking Netflix Taiwan for City on Fire, and this page will be updated with any changes. When a police detective who goes undercover to shake down jewel thieves is injured in the middle of a heist, the thieves suspect he is an infiltrator.